Remove the clutch pressure and driven Plate . Refer to Clutch Pressure and Driven Plate Replacement. For equivalent regional tools. Refer to Special Tools. Discard the flywheel fastener and use a NEW fastener for installation. Second pass to additional 30°. Final pass to an additional 15°. Stress cracks around the engine flywheel. Cracks at welded areas that retain the ring gear onto the engine flywheel. 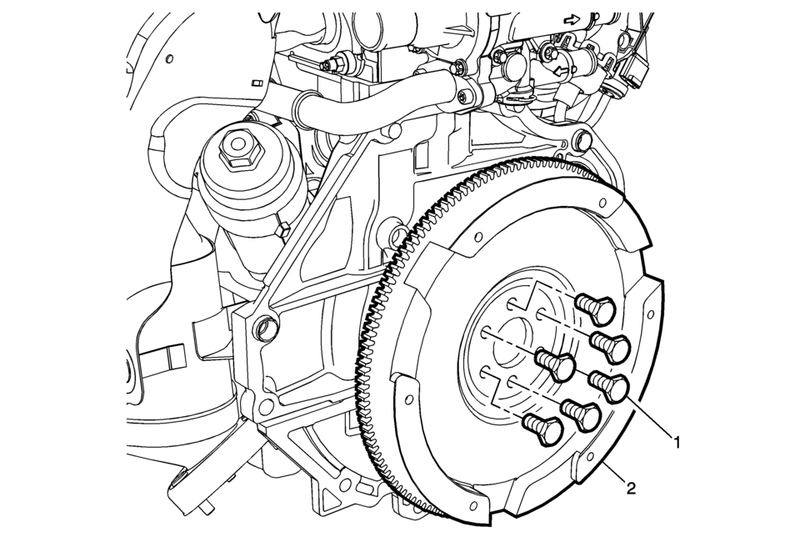 Do not attempt to repair the welded areas that retain the ring gear to the engine flywheel plate. Install a new engine flywheel.